In the 1990s, Irish society was changing and becoming increasingly international due to the rise of the `Celtic Tiger'. At the same time, the ongoing peace process in Northern Ireland also fuelled debates on the definition of Irishness, which in turn seemed to call for a critical examination of the birth of the Irish State, as well as a rethinking and re-assessment of the nationalist past. Neil Jordan's Michael Collins (1996), the most commercially successful and talked-about Irish film of the 1990s, was a timely contributor to this process. In providing a large-scale representation of the 1916-1922 period, Michael Collins became the subject of critical and popular controversy, demonstrating that cinema could play a part in this cultural reimagining of Ireland. 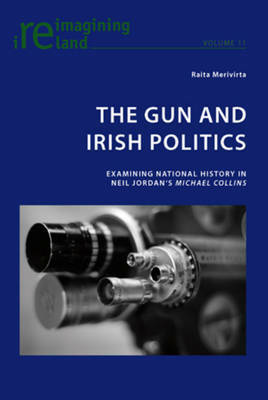 Locating the film in both its historical and its cinematic context, this book explores the depiction of events in Michael Collins and the film's participation in the process of reimagining Irishness through its public reception. The portrayal of the key figures of Michael Collins and Eamon de Valera comes under special scrutiny as the author assesses this pivotal piece of Irish history on screen.